Welcome to Tiny Planet, a gorgeous steampunk inspired world sadly devastated by a recent asteroid strike. Your mission is to help rebuild this beautiful idyll and restore it to its former glory. 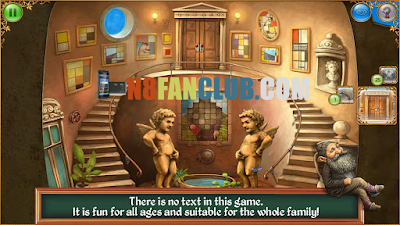 To do so you’ll need to hunt hidden objects, solve puzzles and conquer devilish brain teasers. The Tiny Bang Story is set across five distinct chapters each with their own lovingly hand-drawn location, which combined with the enchanting music created just for this game, adds up to an immersive and crowd-pleasing experience. With no text in the game users will intuitively find their way around the planet, work out what tasks need to be completed next and forge their own path through this unique adventure. So sit back, put your thinking cap on and get ready to help the inhabitants of Tiny Planet in The Tiny Bang Story.